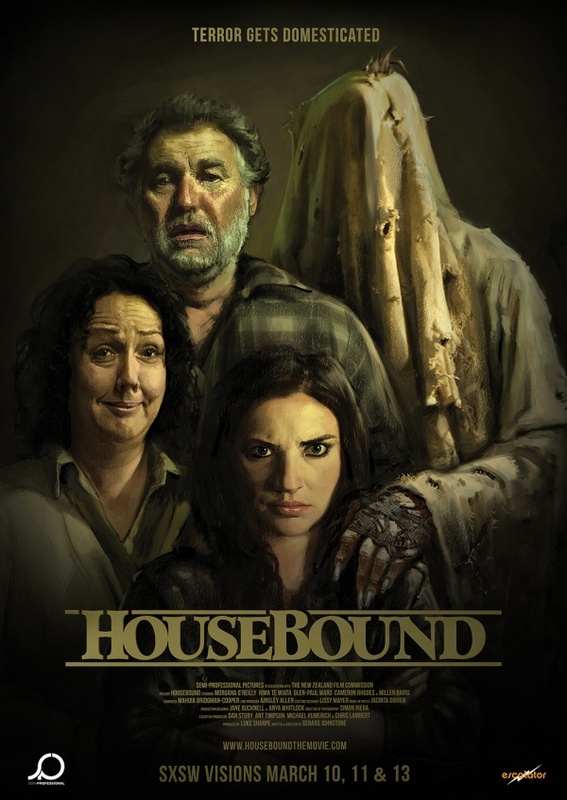 The much talked about and lauded New Zealand film, the comedy horror Housebound finally has a new trailer and personally it is one of my most anticipated films of the year. Stars Rima Te Wiata, Morgana O'Reilly, Glen-Paul Waru and Cameron Rhodes. It is directed by Gerard Johnstone. Kylie Bucknell is forced to return to the house she grew up in when the court places her on home detention. Her punishment is made all the more unbearable by the fact she has to live there with her mother Miriam - a well-intentioned blabbermouth who's convinced that the house is haunted. Kylie dismisses Miriam's superstitions as nothing more than a distraction from a life occupied by boiled vegetables & small-town gossip. However, when she too becomes privy to unsettling whispers & strange bumps in the night, she begins to wonder whether she's inherited her overactive imagination, or if the house is in fact possessed by a hostile spirit who's less than happy about the new living arrangement.